Few days ago I’ve started to run an exit node with the scope to help the Tor project so I’ve reserved a VPS for 12 months within ChicagoVPS. 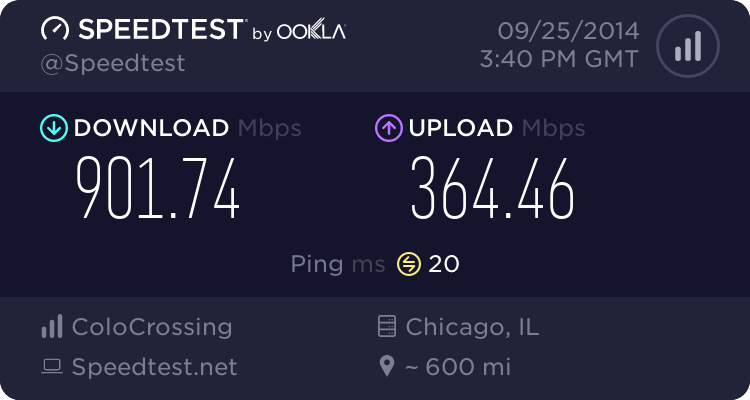 The decision to go for that ISP was made only on the fact that it’s really cheap and the performances are good. As highlighted from the following graph, the node was performing well and it got enough trust from the Tor network. Suddenly the node went down so I’ve tried to ssh into the VPS in order to check what went wrong but it appeared to be down too. Once I’ve decided to go for the “hard reboot solution” I’ve noticed that the VPS was suspended by the ISP. I’ve raised a ticket with their support as I haven’t received any kind of communication from them about the suspension of the VPS, which is down for more than 2 days at this time. More updates are to come. Apparently the support is not that good on spotting “issues”. 15.01.2015 – The support team has finally told me the real reason for which the server was suspended and guess what? It basically is because I was running a Tor exit node. Here we go! I’m going to explain how I got this blog running, more or less smoothly, with $12 per year. First of all, let’s see where those $12 have been spent. As you can see, I’ve used all free and opensource software, the only cost was for the VPS itself, which is impressively cheap. Right, the specs of the VPS are quite low but enough to run a small blog as this but let’s talk about it. The VPS has a single Intel Xeon CPU E3-1240 v3 @ 3.40GHz, with 128MB of memory, 10GB disk space and 100GB of data transfer allowance, which is not bad at all. The VPS is located in Chicago (USA) and, as I’ve mentioned earlier, it’s running on a LAMP within Varnish on top. The OS is obviously 32bit, CentOS 6, and all software come from the CentOS repositories, without any “performance-related” tuning (yet) except for varnish as it need to be installed from a third party repos. I’ve been wondering quite a while if Varnish could play an interesting role on a VPS of this size and the answer (IMHO) is: “yes, he can”. Varnish, as memory is the weakest point of the available resources, is currently configured to use only 30MB of memory, witch are almost nothing but enough to improve the performance and save resources. That’s true. This is the first post. Stay tuned.